Here comes the convertible, and you’re going to pay—in price as well as pounds. While monumental efforts were made to trim down the curb weight of the M3 and M4 (making this the first version to show up to showrooms less portly than its predecessor), the convertible version of the M4 crosses the 4,000-pound barrier, an unforgivable sin for an M. In fact, the privilege of dropping your top means you’re adding more than 500 pounds to your M4, and that’s a difference you’ll feel. That’s more than the typical full passenger load’s worth of extra tonnage. But the regular-old 2-door M4 is a comparatively svelte 3,530 thanks to its carbon-fiber roof, trunk, seats, driveshaft and strut brace. Thankfully, both versions should motivate adequately, since BMW saw fit to stuff a souped-up version of its twin-turbo 3.0-liter inline 6 under the bulging hood of the new M4. What’s the recipe for success in improving what’s already one of the best engines in the industry? 18.1 psi of boost from the dual single-scroll turbos, iron-plasma cylinder bore surfaces, closed-deck construction and a big liquid-to-air intercooler. The valvetrain has been similarly reinforced to handle a 7,600-rpm redline, and the entire package nets out to 425 hp and 406 lb-ft of torque. Even better, the torque shows up at just 1,800 rpm and sticks around until 5,400, right when the peak part of the power curve shows up at 5,500. Full horsepower doesn’t arrive until 7,000, however, so you should have plenty of fun on your way there. All that power is sent through your choice of a 7-speed, dual-clutch automatic transmission or a 6-speed manual, both with rev-matching software. But really, you know the correct choice here. It’ll arrive at a new electronically controlled rear differential via that single-piece carbon driveshaft—hardware that not only saves 11 pounds relative to the old 2-piece steel unit it replaces but also fits so perfectly into the whole setup that it remains in place with a press-fit. No fasteners needed! The new electric-assist steering is another weight saver over the old hydraulic unit, but this is a feature most often met with derision by purists. Admittedly, BMW knew the old electric-assist systems they’d employed weren’t up to M standards, so this one has been specially tuned for M application. It also includes 3 programmable modes—Comfort, Sport and Sport+, the same settings as the optional adaptable suspension—but the electronic differential comes with one extra option. M Dynamic will allow “limited tire slip at low speeds,” which is corporate-speak for “hooligan antics.” And for those who want to venture onto the track, the stability control can be turned off altogether. In all, you can expect to hit 60 in around 4 seconds, with the convertible version doing the same sprint in about a half-second longer. All that extra weight certainly adds up, especially when it means forgoing features like the carbon-fiber roof of the M4. However, all the lightweight goodies down below remain, like aluminum forged wheels in 18- and 19-inch flavors, wrapped in 255/35 ZR front and 275/35 ZR rear tires. Front subframe and control arms are also aluminum with a carbon strut brace and forged-aluminum rear control arms. That’s weight savings where it matters. And for those who laugh at the idea of an iron-rotor/aluminum-hub brake setup, that 4-piston front/2-piston rear system can be swapped for a carbon-ceramic upgrade that gets 6 pistons in front and 4 pistons in the rear. Of course, it wouldn’t be a modern M without the ability to add tons of tech and creature-comfort opulence. For blind-spot and lane-departure monitoring, autonomous braking and a side-view camera, the Driver Assistance Plus package will suit your needs, and for further assistance, an Executive Package adds a backup camera with parking sensors and fancy tech like a head-up display, heated steering wheel, keyless entry (this isn’t standard? ), satellite radio and headlight washers. What, no curb feelers? This new M4 is a compromise on the original intent of the M, no doubt. But would a modern version of the original M3 even sell today? We can point to stripped-down homologation specials put out by various manufacturers, but do we really think any of them could start a movement the equal of the M3's? No, this is the car BMW has to put out today, if for nothing more than to stay competitive in the showroom rather than on the track. The fact that it’ll still hold its own on the track just might be good enough. What's your take on the 2015 BMW M4? 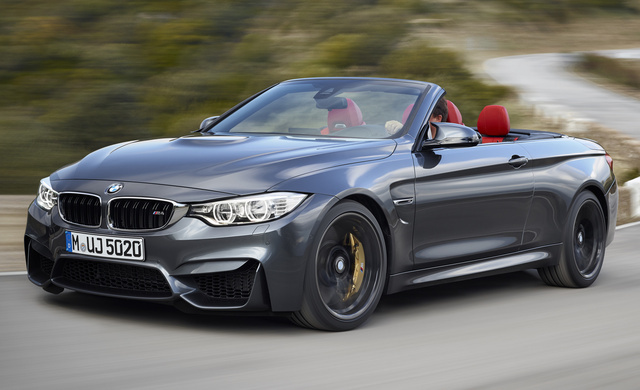 Users ranked 2015 BMW M4 against other cars which they drove/owned. Each ranking was based on 9 categories. Here is the summary of top rankings. 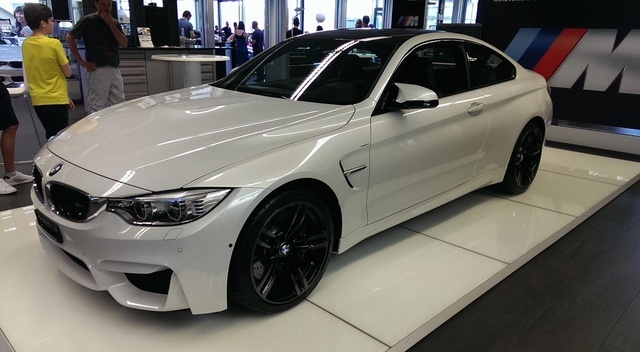 Have you driven a 2015 BMW M4?